Dr Tsegaye Ararssa: This was my random response, off the top of my head (now in edited form). I wonder what Irreechaa means to my other compatriots. Irreechaa, for me, is a mode of perpetual self-creation, social and personal. It is an aspect of performing Oromummaa in one’s own (varied) contexts. It’s an aspect of cultural nationalism which traces and re-enacts it as a site of resistance. At the affective level, it is an expression of the Oromo longing for emancipation, the longing for an alternative future. In a way, it’s a going back in time and space in order to recover our pristine wholeness that will inform the aspiration for a redeemed future. Irreechaa is also a remembrance, a remembering of loss, grief, and national suffering. It is a storehouse of memory that fosters national and personal self-recovery. It’s also a celebration of survival, survivance, and vitality. It’s thanksgiving on a grand scale. It is a festivity but it is also a mode of reckoning. As a reckoning, it is an act of thinking as thanking. It’s an act of infinite gratitude that brings wholeness by linking Uumaa (creator) and uumamaa (creation), nama (humankind) and namummaa (humanity). It’s an act of linking the natural, the human, and the divine and a celebration of the infinite interconnectedness thereof. For the Oromo Diaspora, the Irreechaa moment is a moment of performing home in exile. It is a longing for home. As such, it’s a site of struggle, a site of the agon, a site of imagining home. it is a way of homecoming. It’s a way of becoming what we would have been. Irreechaa is a moment of re-enacting life in its fullness, in all its colors and brilliance, and in its infinite beauty as a treasure. It is a celebration of vitality and life in the past, the present, and the future. Above all, it’s thanksgiving. Even in the midst of the festivity, it is a moment of thinking (thinking as thanking), and a reminder of the need for a grateful reflection as a way of life. That is what irreechaa means to me but it is still much more than what these words could say. 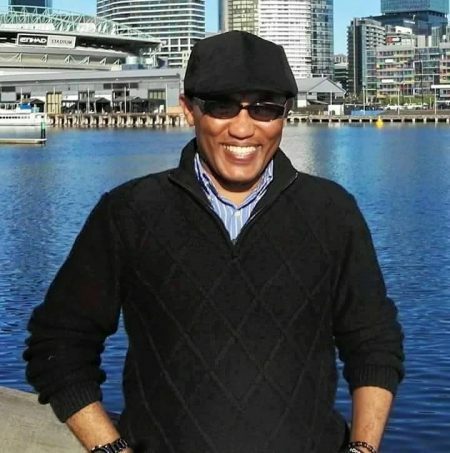 Dr Tsegaye Ararssa, horii buli; hedduu GALATOOMI! !